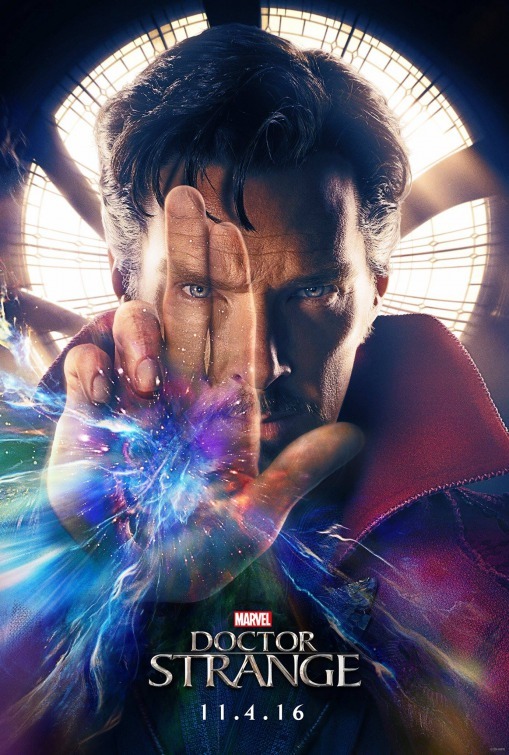 For the past couple of weeks, we’ve been waiting to finally get a look at Benedict Cumberbatch in the title role of Marvel Studios’ upcoming movie, Doctor Strange. Tonight, following the premiere of Captain America: Civil War across the street in Hollywood, Cumberbatch introduced the teaser trailer on The Jimmy Kimmel Show. Ok, catch your breath. We’ve also got a teaser poster that dropped earlier this morning as well as a new still courtesy of Disney.The pic features Tilda Swinton on the left and Cumberbatch’s Strange on the right. Doctor Strange has been a pet project for Marvel Studios president Kevin Feige for quite a while now and with the proven success of pretty much everything Marvel has thrown at the big screen, there’s not reason to believe that this trippy superhero movie won’t be just as successful. Doctor Strange arrives in theaters on November 4, 2016. Tags: Benedict Cumberbatch, comic book movies, Disney, Disney films, Disney movies, Doctor Strange, family films, marve studios, Marvel, Marvel movies, MCU, movie news, movie trailers, movies, tilda swinton. Bookmark the permalink.